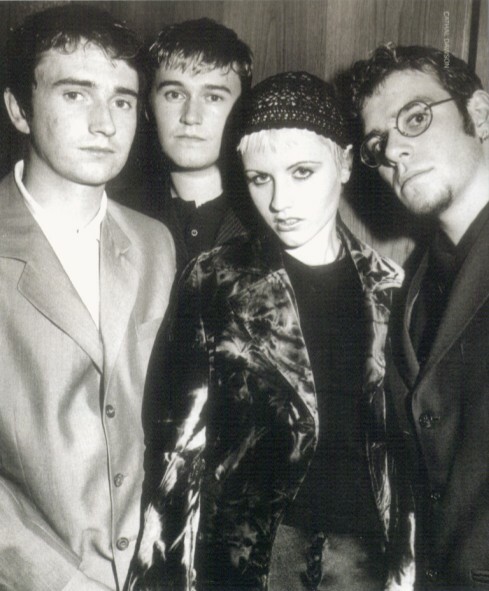 The Cranberries were on the programme to promote their 2nd album NNTA and played “Zombie” first. 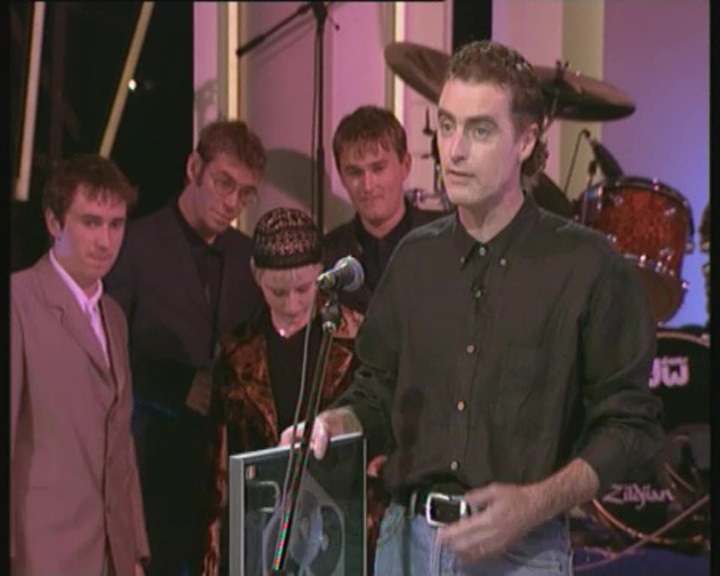 Then Dave Fanning presented the band with a double platinum disc to commemorate the sale in Ireland of more than 50,000 copies of the first album EEIDI. 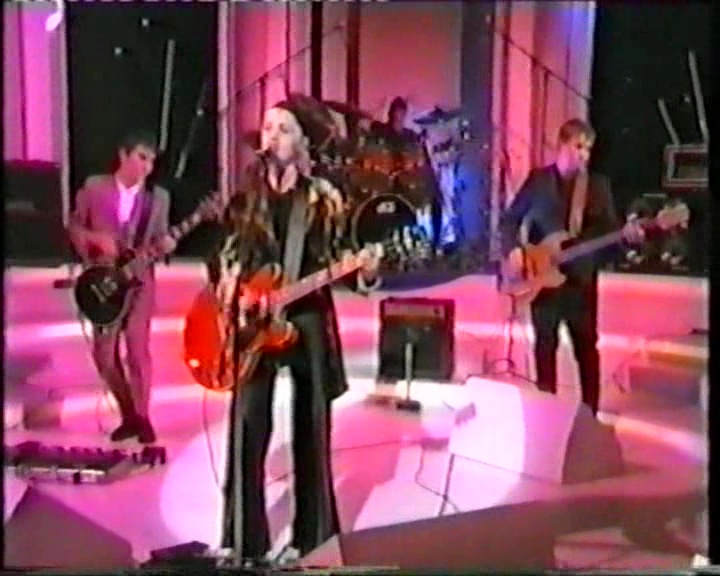 After a commercial break Gay Byrne, the host of the show, interviewed Dolores and Fergal and then the band played “Ode To My Family”. 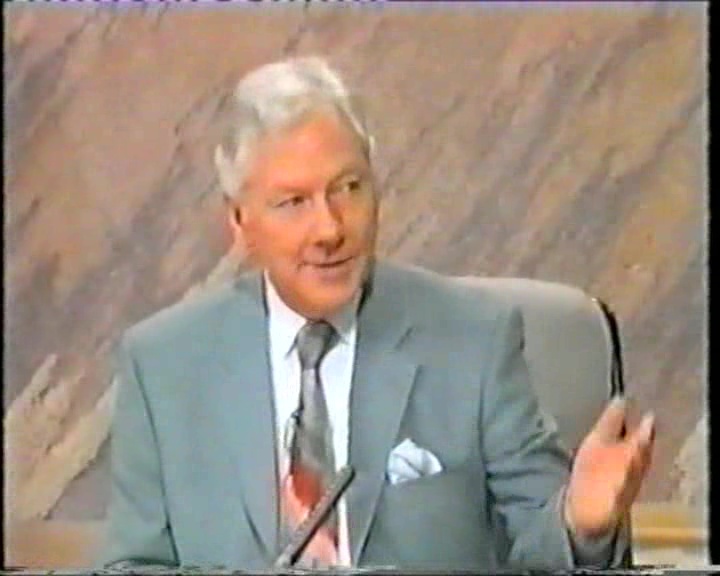 Gay Byrne presented the show from 1962 to 1999. 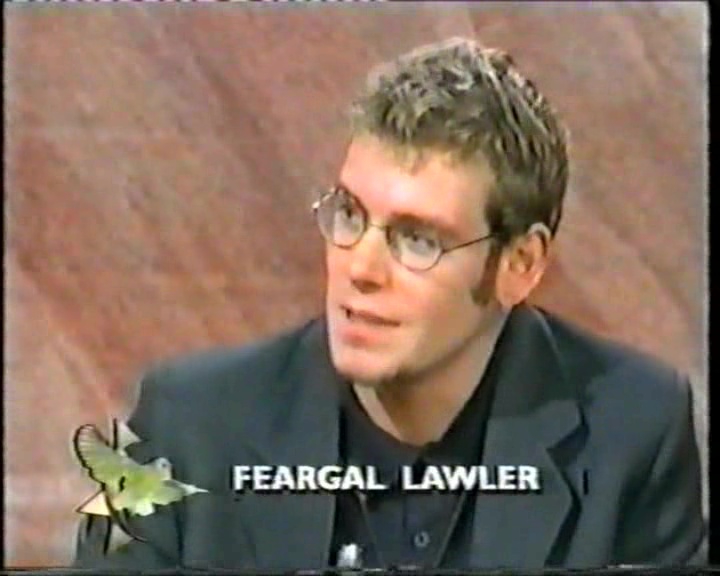 He was the original host of the show. 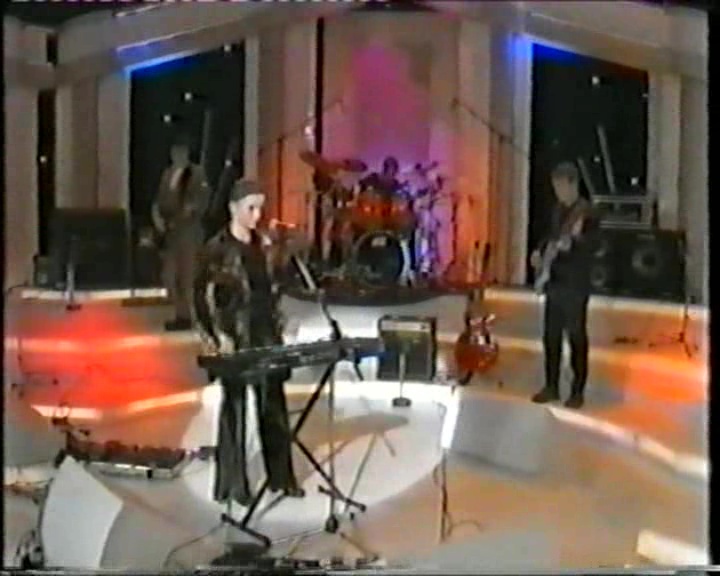 A few members of the band’s family were in the audience. 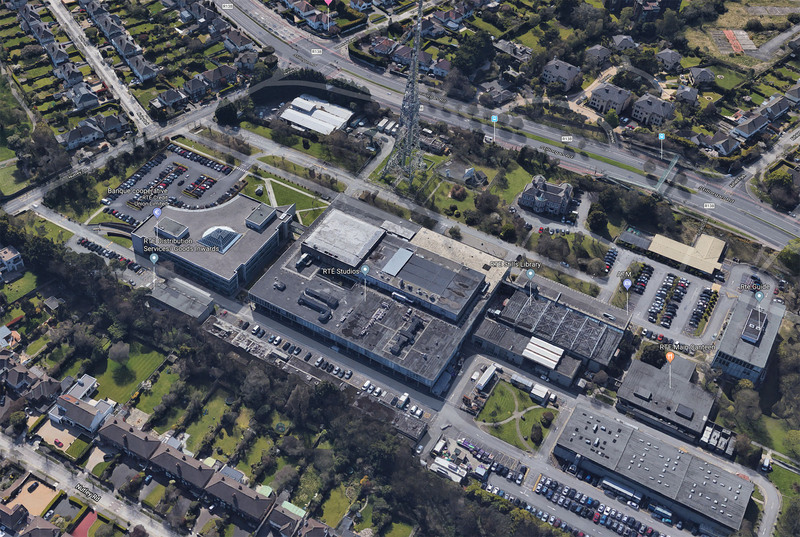 “The Late Late Show” is a 2 hours plus chat show in front of a studio audience and live broadcast on RTÉ One on Friday nights. It was first broadcast in 1962 and remained largely the same throughout the decades with dialogue, comic sketches, musical performances, discourse on topical issues. 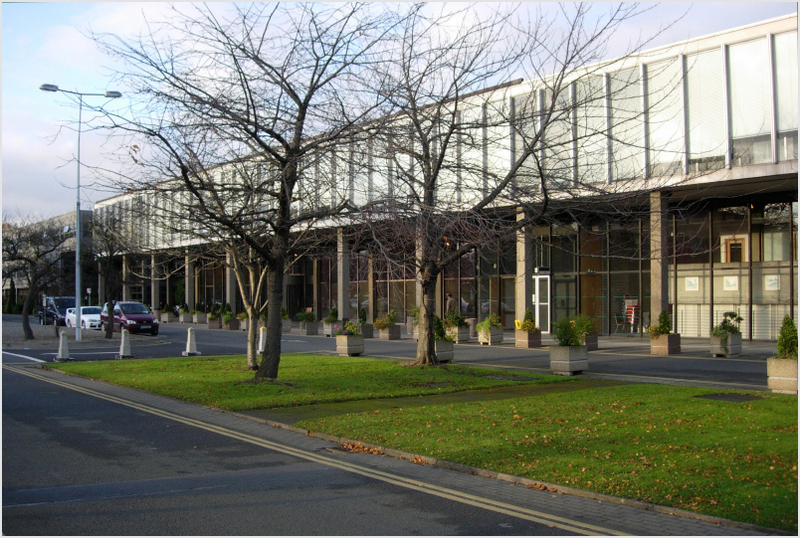 The show is perceived as the official flagship television programme of RTÉ. 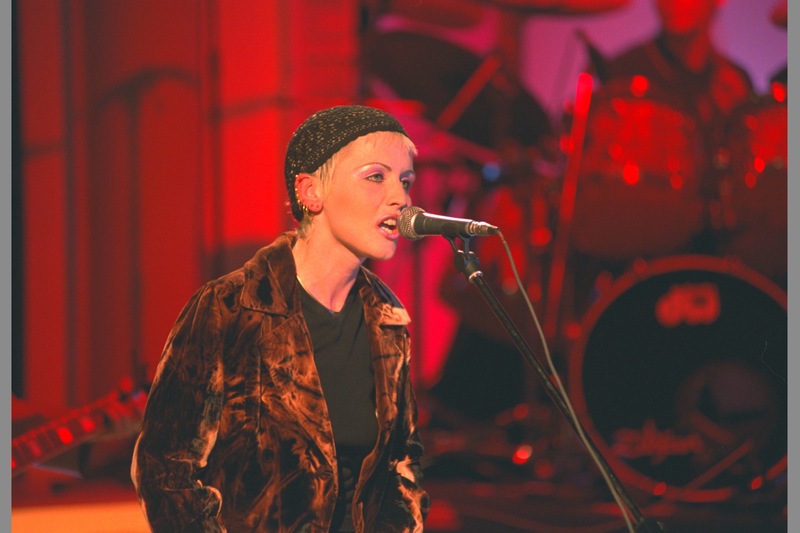 Recorded at RTÉ Television Centre located at Nutley Lane in Dublin.